The transformer is set as a monitor by default, so the power will not be disconnected under fault conditions. A contactor can be fitted, if required, to disconnect the output if a fault occurs. Category: Extra Safety Transformers. 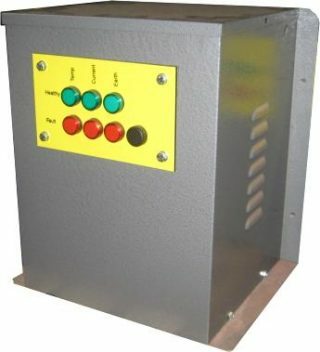 Tags: 8kva, Extra Safety Transformer, Isolation, Monitored, Safety, Transformer, Transformers.